COCHRANTON — Gas wells are a familiar sight here in the rolling farmland of southern Crawford County. East Fairfield Township Supervisor Bob O’Brien can see a half dozen of them from his kitchen window on Franklin Pike. But the latest well isn’t like all the others. Lippert 1H, located at 6321 Pettis Road, was drilled this summer into the Utica Shale to a depth of 7,236 feet, before crews drilled nearly another mile horizontally. That makes it the first deep shale well drilled in this corner of Pennsylvania, said Gary Clark, spokesman for the state Department of Environmental Protection. A DEP drilling map shows a heavy band of drilling activity that extends from southwestern Pennsylvania, across the center of the state to northeastern Pennsylvania. Gas exploration companies continue to drill so-called shallow wells throughout the state. But until now, the Utica and Marcellus formations were largely untapped in the uppermost corner of northwestern Pennsylvania and a broad swath that included more than 20 counties in the southeastern part of the state. That changed this summer, at least in Crawford County, when rigs and crews working for Texas-based Range Resources arrived in this rural township of about 850 people. Range Resources, which developed some of the state’s first successful wells into the Marcellus Shale, drilled the Crawford County well in July. The entrance to the well site is blocked by no-trespassing signs and by a security building, staffed by a guard. Horizontal drilling is making it possible to reach the reserves under hundreds of acres from one location. Canada’s leaky municipal infrastructure faces an increasingly grim future unless the federal government sinks an estimated $171.8 billion into repairing or replacing aging roads and water systems, a new report says. With the Conservatives’ infrastructure funding plan set to expire in 2014, the Federation of Canadian Municipalities’ first-ever national infrastructure report card called for a commitment from Ottawa to support cash-strapped municipalities, many of which are home to decaying, “at-risk” infrastructure. Shabby roads have made headlines in recent months after massive concrete blocks shattered on Montreal’s Ville-Marie Expressway and pieces of Toronto’s Gardiner Expressway rained down on bustling Lakeshore Blvd. Last Tuesday, an Ottawa motorist drove into a sinkhole caused by a collapsed culvert pipe on Highway 174. Leibovici stressed that it remains incumbent upon the federal government to narrow the so-called infrastructure deficit by providing top-down funding beyond 2014. Since it was hatched in 2007, the Conservatives’ “Building Canada” plan has provided about $2 billion annually in infrastructure funding to municipalities. Ottawa’s gas tax fund funnels $2 billion into cities for public works projects and this year’s budget promised future cash for public works projects. Government officials are in talks with local and provincial leaders and private sector interests about crafting a funding plan to kick in when the current one expires, said Geneviève Sicard, press secretary for Infrastructure Minister Denis Lebel. The report card, which does not contain recommendations, also highlighted widespread decrepitude in wastewater infrastructure, with roughly 40 per cent of pumping stations and storage tanks experiencing varying degrees of decline. New federal wastewater regulations will likely improve several hundred water systems across the country, but those come with a hefty $20 billion price tag that municipalities will have to cover over the next two decades. Ninety-nine “shovel-ready” municipal projects that planned to take advantage of $4 billion in federal stimulus money were forced to forgo grants after missing a federal government-mandated completion deadline last year. In 2009, the Conservatives had offered 3,913 projects money from its Infrastructure Stimulus Fund, intending to steamroll a lagging economy. The deadline for those projects — including more than 500 projects, such as road and bridge revitalizations, in Toronto — was extended to Oct. 31, 2011, from March 31, 2011. While Ottawa said it would cover “its share of all eligible costs” up to the extended deadline, Infrastructure Canada remains tight-lipped on the amount of money municipalities left on the table. “Infrastructure Canada cannot provide the total amount of funding that these projects may have to forgo, given that all projects are not yet complete and the final financial reconciliation has not been completed,” a ministry spokesperson Caroline Grondin said. The investigation process into oil spills in the Niger Delta has been challenged today by Amnesty International and the Centre for Environment, Human Rights and Development (CEHRD), as inconsistencies in Shell’s claims about sabotage were revealed. Experts have examined evidence from the latest oil spill from Shell’s poorly maintained pipelines in the Bodo creek area and confirmed that it strongly indicates that the leak is due to corrosion of the pipeline. However, Shell appears to be ignoring the evidence of corrosion. “The investigation process into oil spills in the Niger Delta is a fiasco. There is more investment in public relations messaging than in facing up to the fact that much of the oil infrastructure is old, poorly maintained and prone to leaks – some of them devastating in terms of their human rights impact,” said Audrey Gaughran, Director of Global Issues at Amnesty International. Shell will now remove the affected length of pipe to a Shell facility where, according to the company, tests will be done. Shell’s pipelines are old and many have not been properly maintained or replaced, with local people and NGOs reporting that the pipes in the Bodo area have not been replaced since 1958. When Amnesty International asked Shell to confirm the age and status of the pipes the company did not respond. One year ago, the United Nations Environment Programme (UNEP) issued a major report on the effects of oil pollution in the Ogoniland region of the Niger Delta. Little has changed, as this latest oil spill at Bodo demonstrates. Among its findings, UNEP confirmed that Nigerian regulatory agencies “are at the mercy of oil companies when it comes to conducting site inspections”. UNEP also found that Shell had failed to adhere to its own standards in relation to maintaining its infrastructure. Thousands of oil spills have occurred in the Niger Delta since the oil industry began operations in the late 1950s. 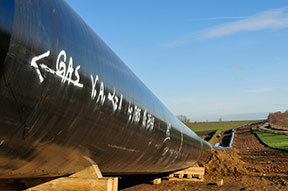 Corrosion of the pipes and equipment failure were responsible for the majority of spills. In recent years sabotage, vandalism and theft of oil have also contributed to pollution. However, corrosion and equipment failure remain very serious problems which have never been addressed. Oil companies are responsible for ensuring that, as far as possible, their equipment is not vulnerable to tampering. However, Shell has not responded to request to for information on any measures it has taken to prevent sabotage and vandalism. On 3 August Amnesty International and CEHRD published a report on an oil investigation at Bodo in June/July 2012. The report focuses on the lack of transparency in the process and the failure of shell to disclose any information on the condition or age of its pipes. Since 2011 Shell has posted oil spill investigation data on its website. This move was welcomed by Amnesty International and CEHRD. However, as research by both organizations has made clear, the process on the ground remains highly problematic, and there is a lack of independence and transparency in the investigations themselves.